For the past 35 years the Minnesota Farmfest show has brought together area farmers and top agribusinesses for 3 days of networking, policy discussion, and special events. Visit Farmfest to see the best and newest products on the market and learn new ways to advance your business. With more than 470 exhibitors, you will have plenty to see and learn about, and of course good food to keep your belly full. 2017 Farmfest will take place Tuesday, August 1 - Thursday, August 3. Show hours are 8:00 am - 5:00 PM on Tuesday, and 8:00 AM - 4:00 PM Wednesday and Thursday. 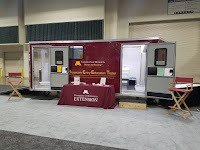 This year, you can visit with University of Minnesota Extension Educators and Professors about biosecurity in your production facilities. 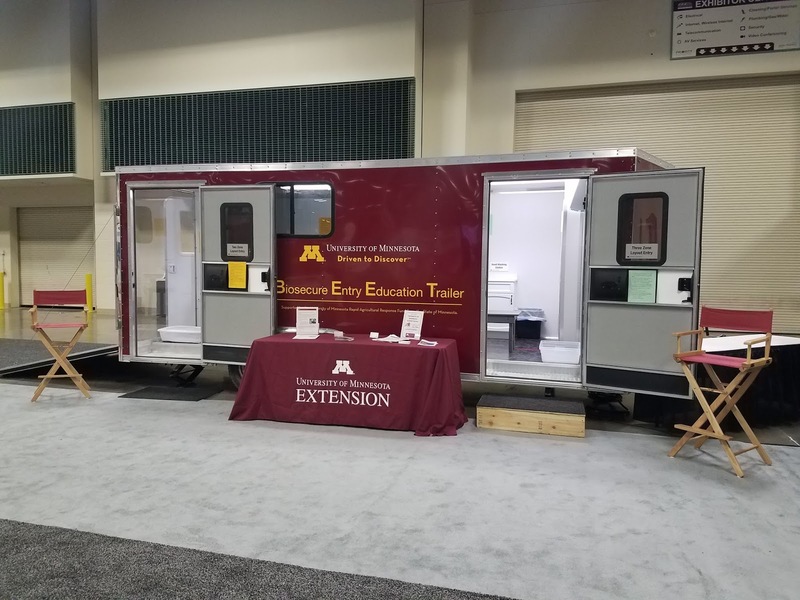 Tour the Biosecure Entry Education Trailer (BEET), ask questions, have a discussion and set-up a training workshop for your employees while exploring the U of M tent located on "6th Avenue", just north of the Wick Buildings Farmfest Center (stage). Extension Educator, Abby Neu, demonstrates how bacteria and virus can be spread by people when entering and exiting animal barns.